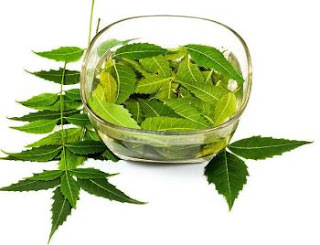 Neem leaves are bitter but it has many properties, which are beneficial for health. Infection: Neem leaves contain anti-bacterial, anti-fungal and anti-viral properties. Its paste reduces the risk of skin infection. Weight: Drink 3-4 times neem leaves juice. It increases metabolism and controls weight. Diabetes: Regularly drink neem leaves juice. It balances insulin level and gives relief from diabetes. Teeth: Rub the neem leaves on teeth for 5 minutes. It kills bacteria of teeth and removes mouth odor. Fever: Drink neem leaves juice in fever. Its anti-viral property increases immunity and provides relief in fever. Healthy Hair: Boil neem leaves. Wash it when it becomes lukewarm. Its anti-bacterial and anti-fungal property removes dandruff. Hair becomes black, thick and strong. Wrinkles: Apply neem paste on face for 3-4 times in a week. Skin becomes moisturize and wrinkle reduces. Wound: Neem leaves have anti-septic property. Put it on wound. It is beneficial in wound and it also cures it easily. Pimples: Apply mixture of neem leaves paste and yogurt on pimples. Its anti-bacterial property removes pimple problem. Black Heads: Apply neem leaves paste on skin. Its anti-septic and anti-bacterial property cleans the skin. It also removes black heads.